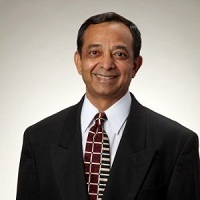 Siddharth Desai, President, Healthcare Evolution, Inc.
Siddharth has been leading new product development in the medical and pharmaceutical industry for the last 30 years. He has developed new container closure systems for Pharmaceutical and Biopharmaceutical industries including Injectors and IV containers. In medical device industry, he has developed products, “from head to toe”. In his endeavors, his teams and he has developed processes that integrate requirements from key stakeholders such as R&D, Regulatory, Marketing and Manufacturing. In his recent successful execution of an innovative catheter system and a power injector, he led the business from concept to launch. He has multiple patents in a variety of areas. He has coupled his accomplishments with a B.S. and M.S. in Engineering and an MBA from UCLA.